In this article, we're going to talk about the unmistakable "black and yellow" taxis in Barcelona, in other words, the public taxis. It can often be handy to book a taxi journey, for example, if you wish to travel at night, if you're travelling in a group with baby strollers, if you're travelling with people who have mobility problems or simply because its late at night and you want to travel in comfort, without having to change your means of transport, without having to wait around and with the guarantee of a seat. In Barcelona, the taxi prices are reasonable and for those who are not travelling alone, the cost can often work out the same as when travelling on public transport! You'll find more details below. There are various ways of booking a taxi: you can make a booking over the 'phone, via the App., in person at the taxi ranks or, in view of the very large number of taxis in Barcelona, you can just raise your hand and wait for the next available taxi (with the green light switched on). This latter option is undoubtedly the quickest and most convenient and doesn't involve any forethought. When you do this, you can show the street name you require on your mobile 'phone and thus avoid any mistakes with regard to your end destination. Quite often, the street names can be very similar! The public taxi rates in Barcelona are pretty reasonable and for those who are travelling as a group, a taxi becomes both a practical and economical solution. A taxi journey from one attraction to another costs on average €10/€15.00 in a four-seater vehicle. But, if you analyse the costs in more detail, you will discover that a large part of the final fare comes from the fixed costs, (such as the initial charge at the beginning of the journey and other supplements) as well as other variables which are the real hourly tariffs. You will find details of the 2018 tariffs below. Note: the taxi meter continues to run when the taxi is stopped in traffic. The cost of the service starts from the time of the call, in other words, the taxi meter starts to run from the moment that you 'phone a taxi or hail a taxi on the street. The major part of the cost obviously applies to the journey time. For this reason, our recommendation when it comes to airport transfers, is to book a taxi at a fixed price which will only calculate the rate based on distance and not depending on the journey time. How to book a taxi at a fixed price? The traffic in Barcelona is really heavy, particularly during rush hour and at the entry to the airports. 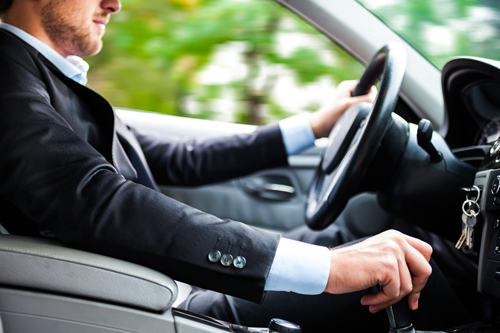 If you are unfortunate enough to end up with a dishonest driver who lengthens the journey time, the total cost of the journey can rapidly increase. Fortunately, there is an alternative, which means you will know the exact fare in advance for your taxi journey. By booking a Private Taxi from El Prat Airport at Taxileader.net, you will pay a fixed price which is based on the distance, not the journey time. The booking can be made by telephone, via the Customer Service team (without having to pay the cost of the call), or on-line with the simple booking form. .